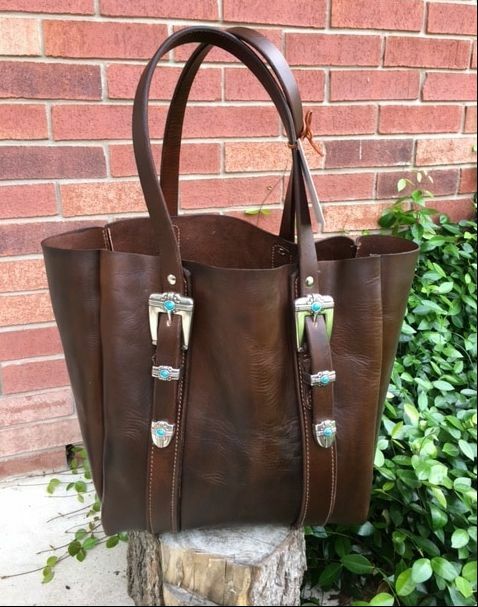 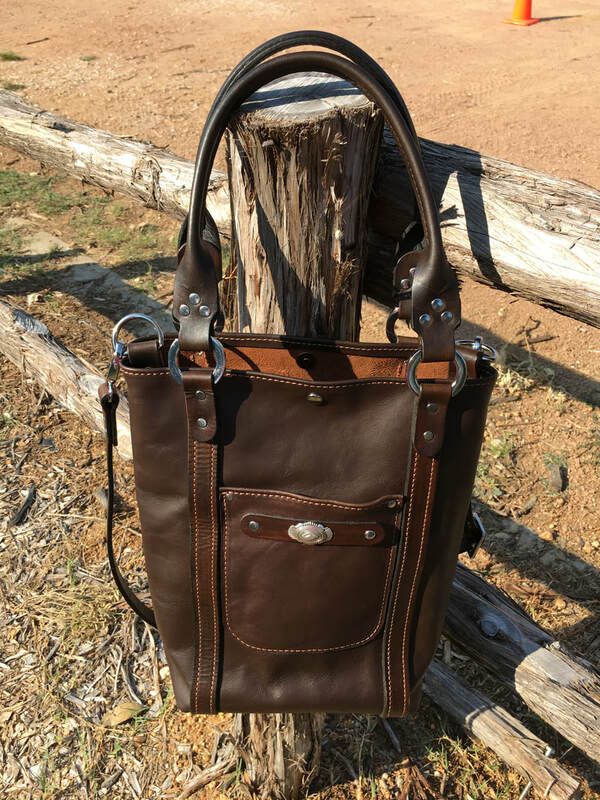 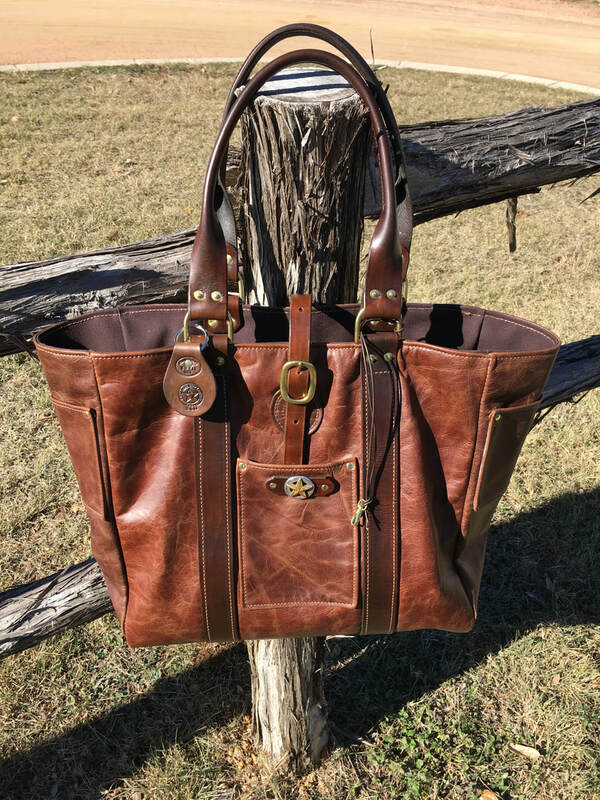 All custom totes measure 14" W, 13" H, by 7"D.
BC7 - "THE TRAVELER" This is one of our very best bags. 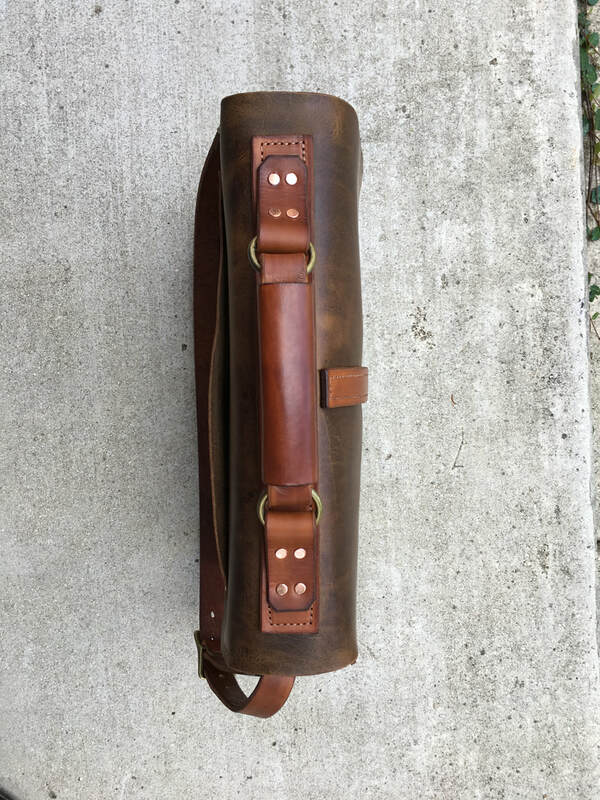 Its 14.5" H, 7" D and 15" W (Expands to 21" W at top.) 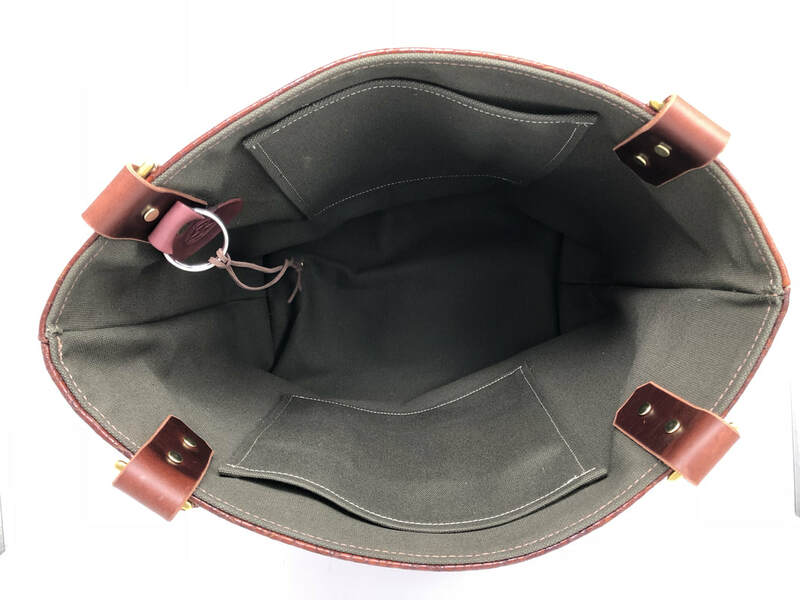 Bag is lined with 18oz duck canvas, has 3 zippered pockets ( one pocket large enough to fit file folders. 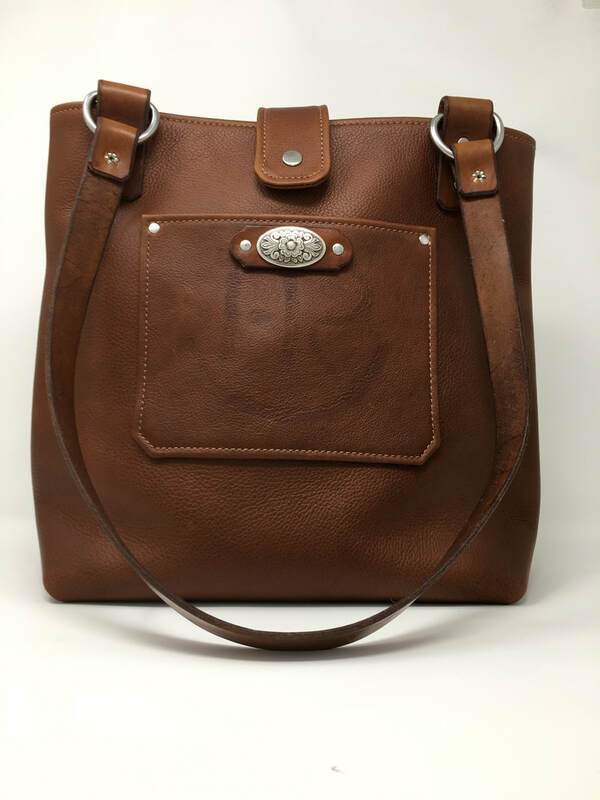 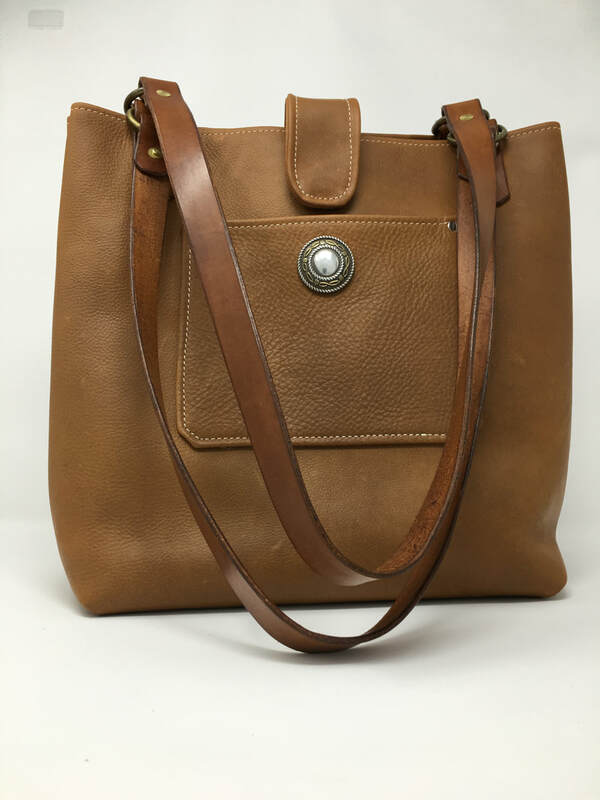 The leather is very soft and the rolled leather handles fit nicely on the shoulder. 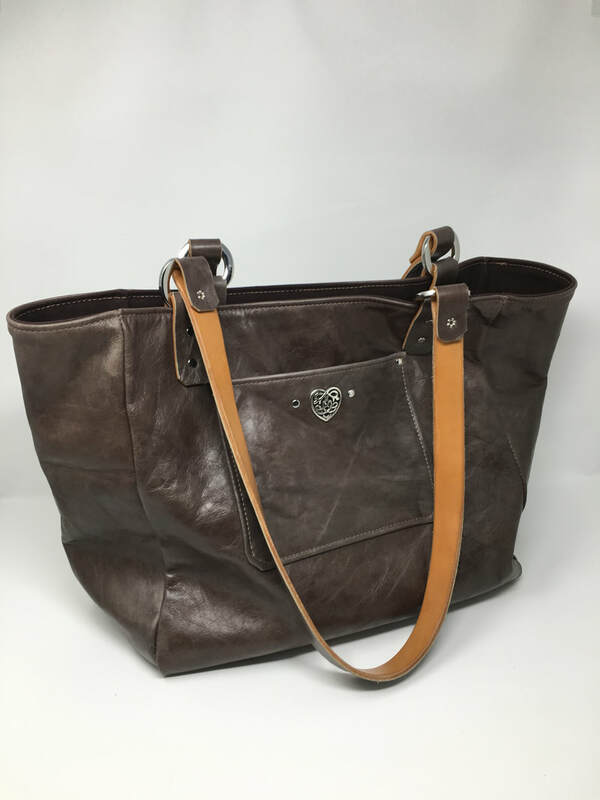 The bag pictured has an optional top strap to secure contents. 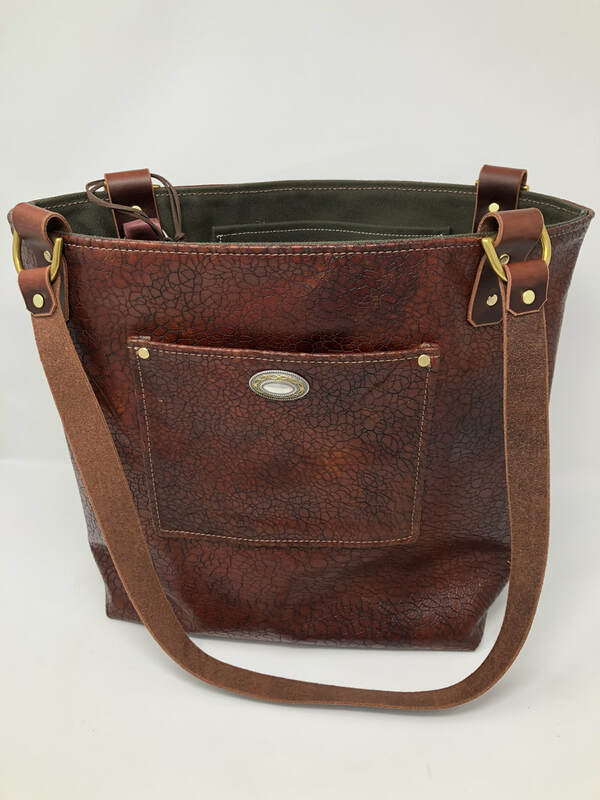 This bag is soft to the touch and has an inside pocket of 5.5" x 6.5". 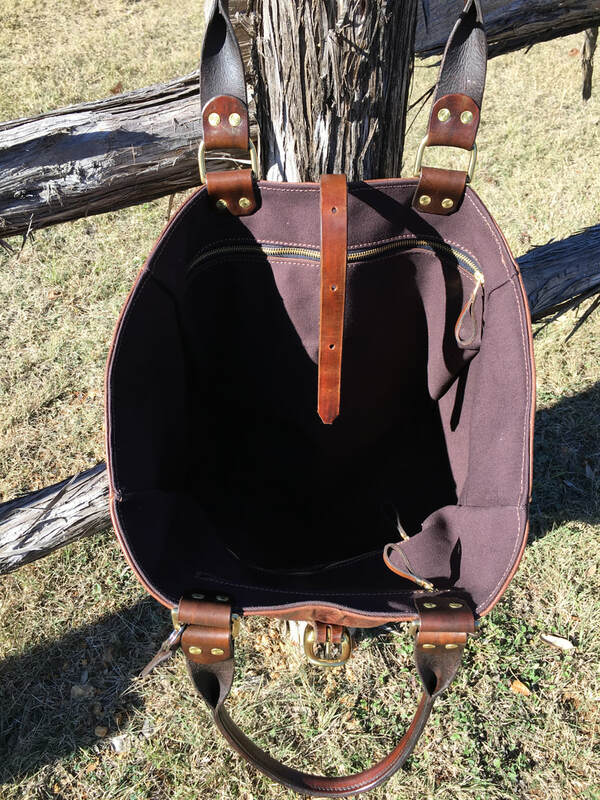 These is one of our production bags and can be re-ordered. 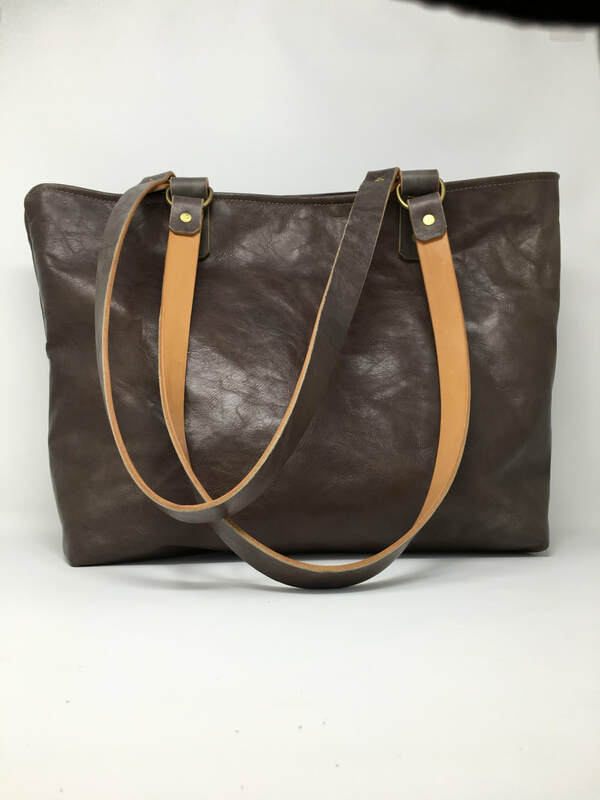 We have many leathers and colors to choose from. 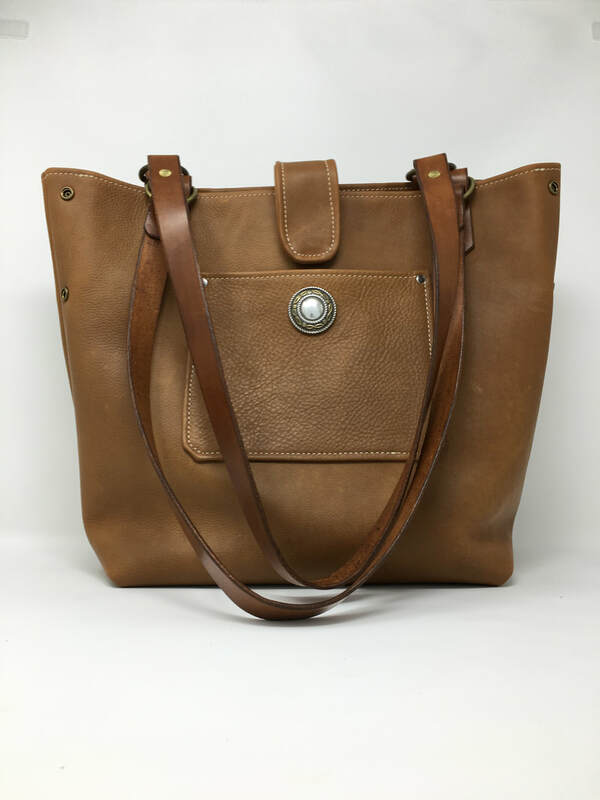 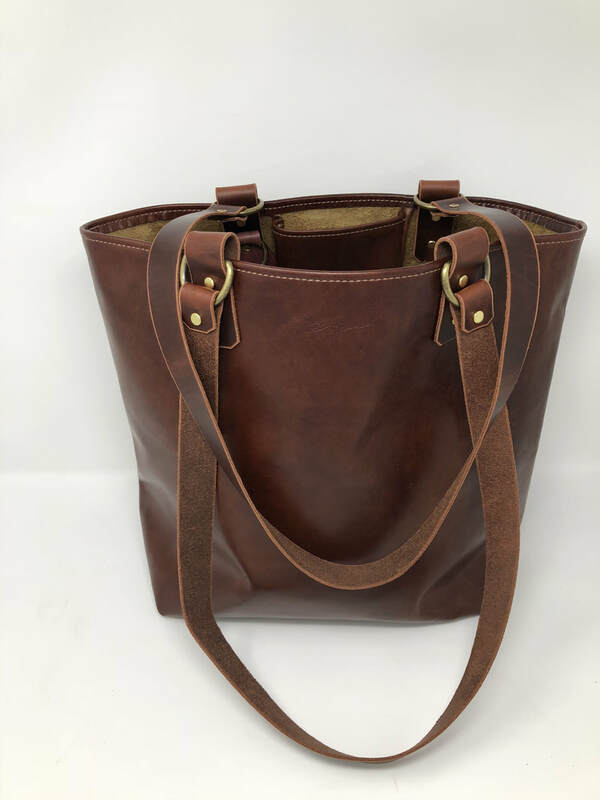 This canvas tote is lined, has a large pocket inside and comes with leather handles. 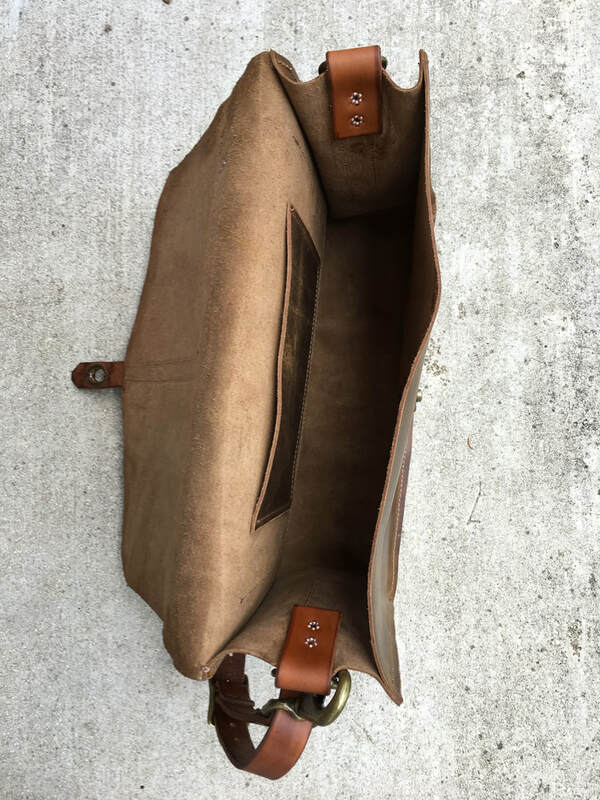 Heavy Duty Messenger Bag/Light Tool bag. 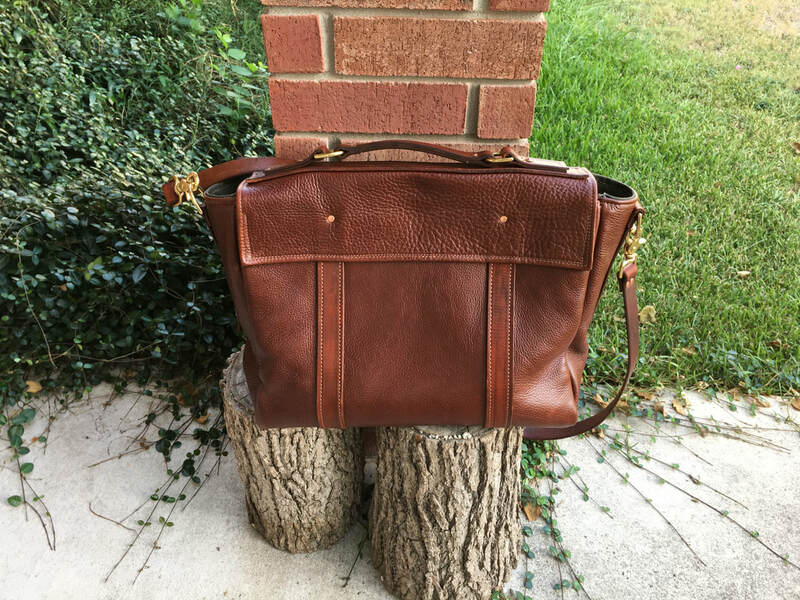 ​15" (Width)x 11" x 4.5". 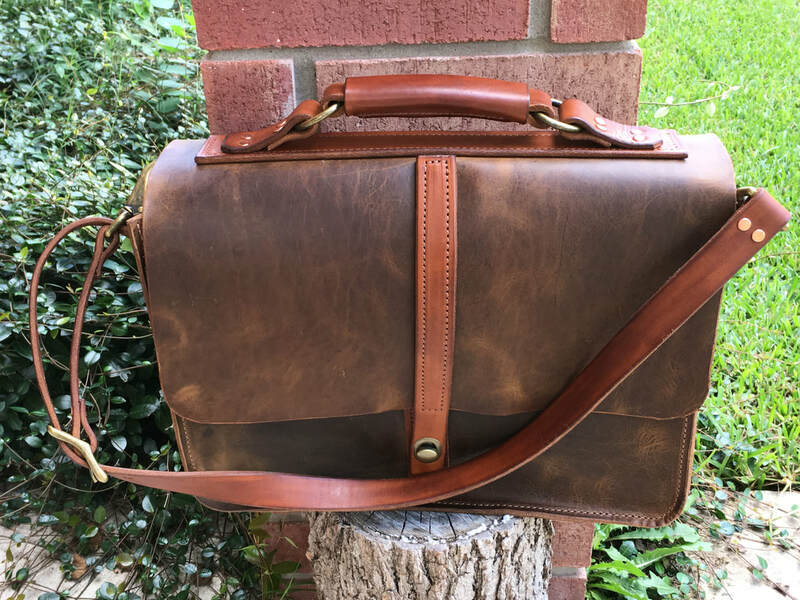 15" (Width)x 11" x 4.5". 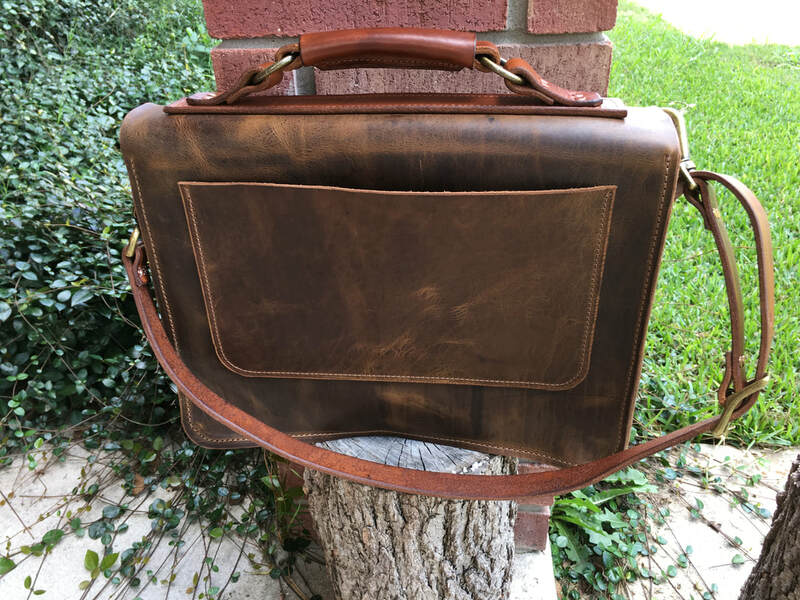 Will fit Macbook Pro 15". 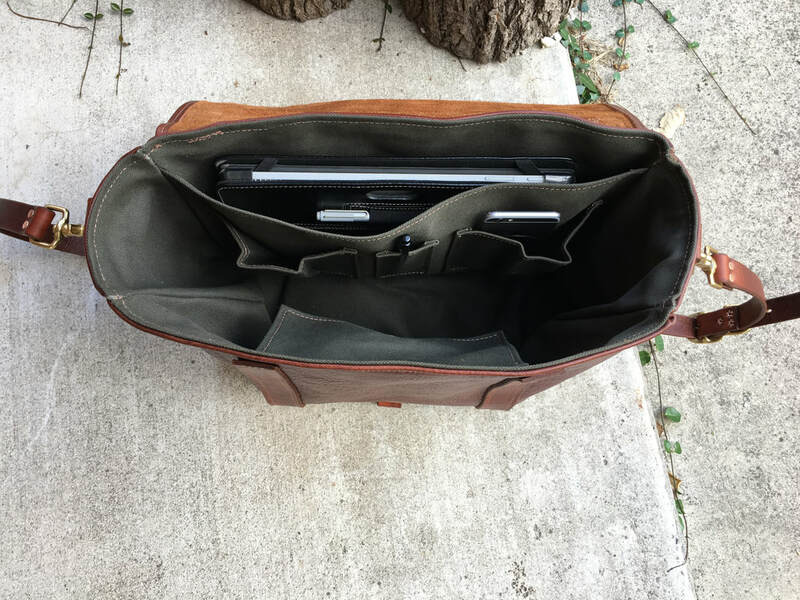 Will fit Macbook Pro 15". 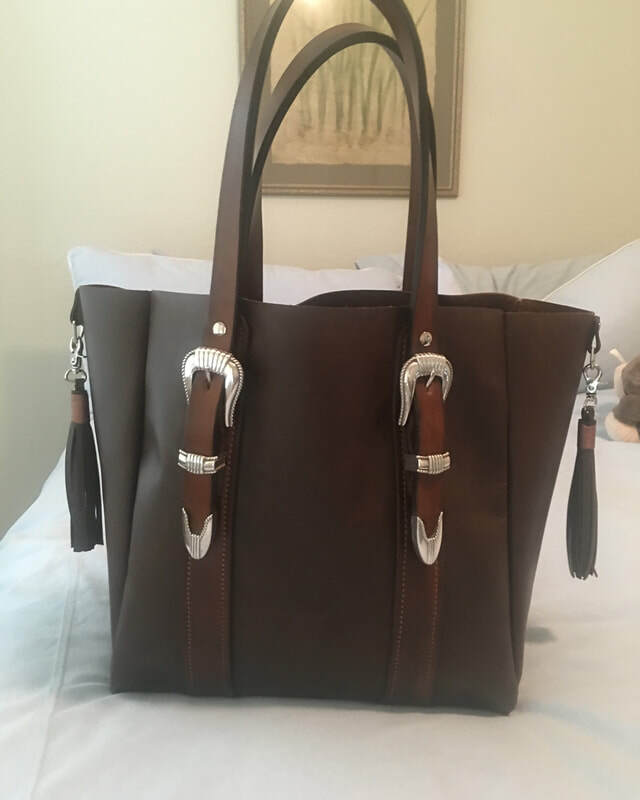 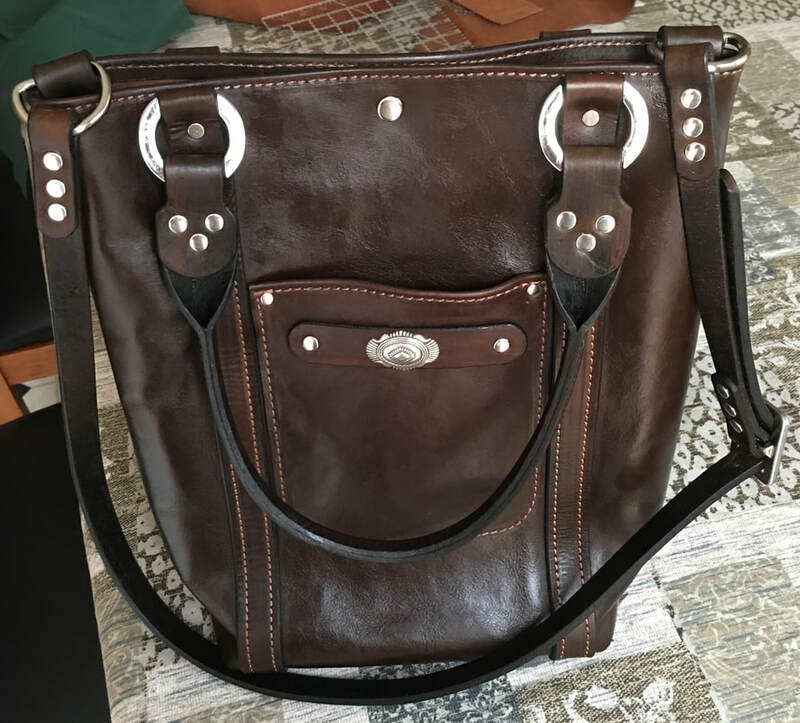 This is the same bag as above just with a different look. 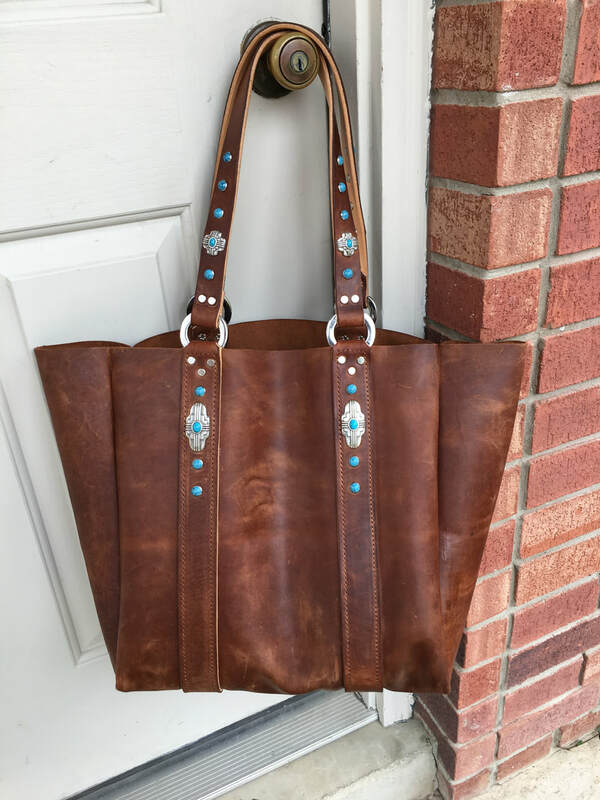 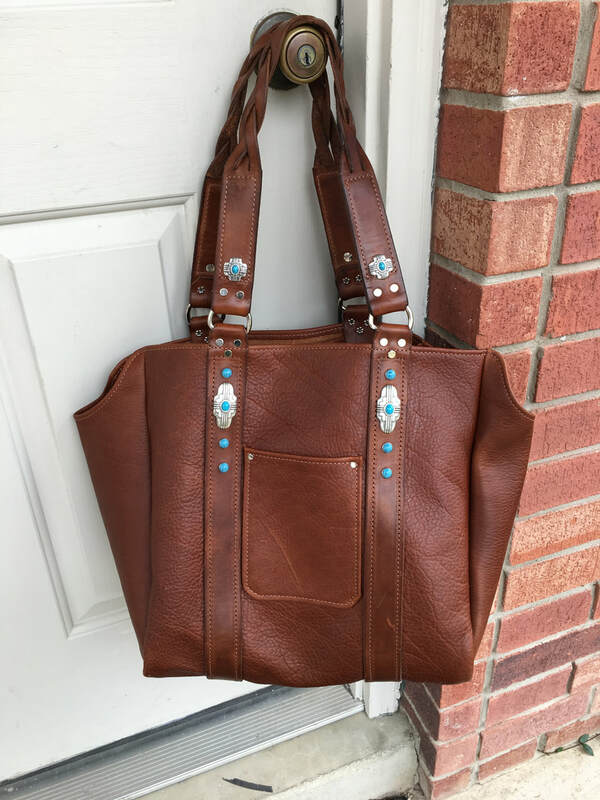 Custom Ladies Executive Tote/Computer Bag. 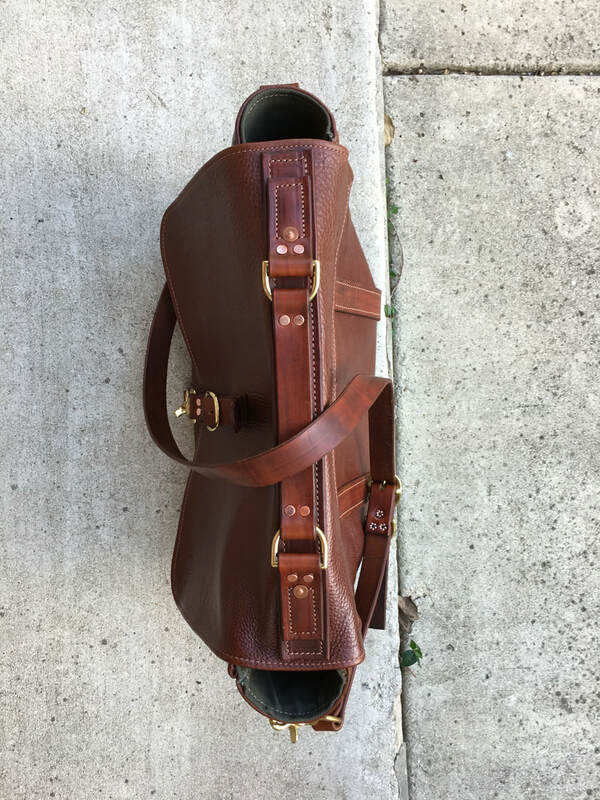 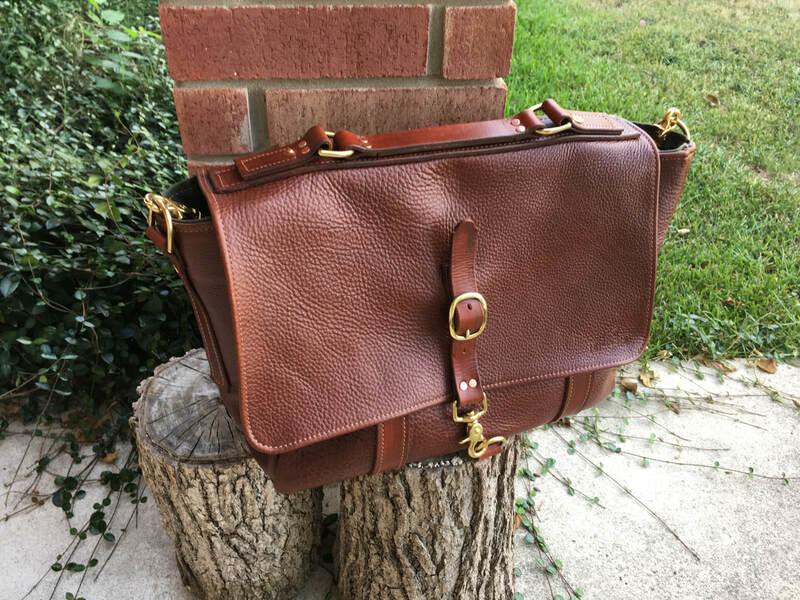 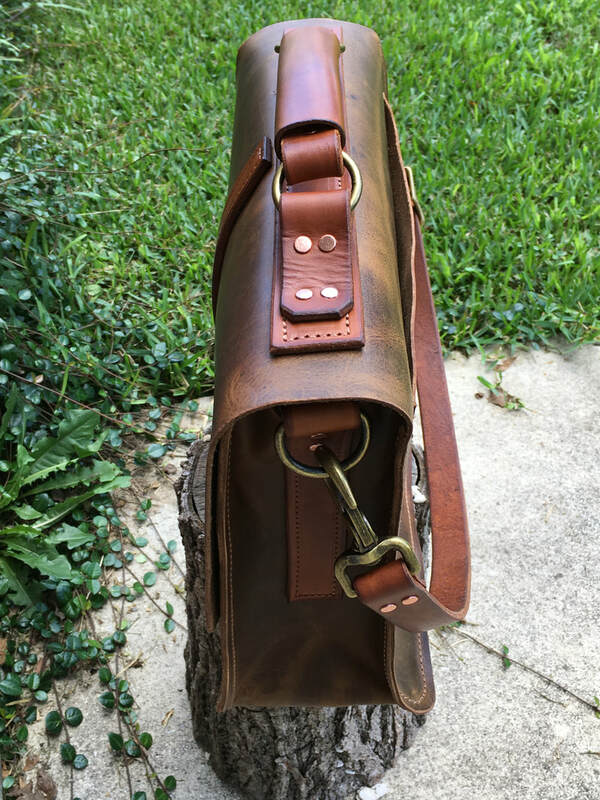 Custom Large Messenger bag than can be used a day bag or an everyday computer work bag. 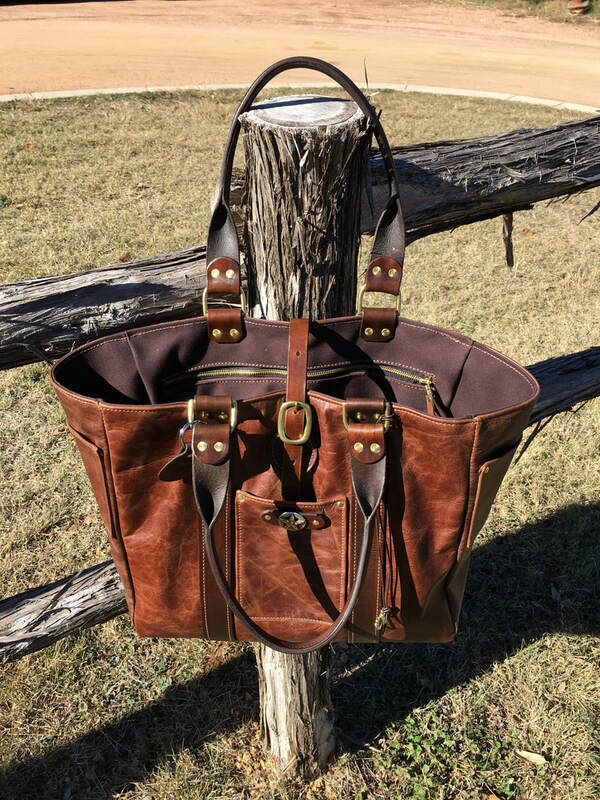 This bag is currently being used in Texas oil country.